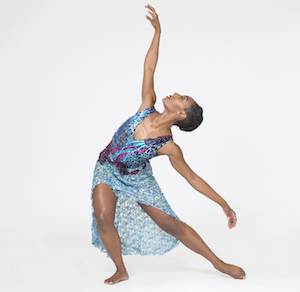 Dance Informa had the great opportunity to have a conversation with Founder and Artistic Director of Philadelphia-based company Philadanco, Joan Myers Brown. The conversation could have gone on forever. 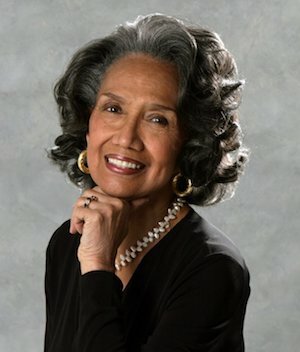 With bold personality and viewpoints on time, dance and reality, Ms. Joan, as she is affectionately called, shares some thoughts on Philadanco’s current Joyce season in New York City (running through June 17), and what we can expect next from the company. Check out our conversation below. Joan Meyers-Brown. Photo courtesy of Philidanco. Can you tell us a little about Philadanco’s Joyce season and what excited you about it? I want to personally thank you for all of the hard work you’ve done for the younger generation of dancers. I went to the University of the Arts, I’ve met you once, and have a few friends who were in ‘Danco, so I know of all the work you’ve done on the frontlines to make dance possible for someone like me. Were you ever scared to be a leader or someone who was championing the cause? Speaking of cultivating a new generation of leaders, as far as Philadanco is concerned and its succession, do you know what’s going to come next for the company as far as leadership goes? Congratulations on thinking ahead of the curve as far as succession goes. A lot of times companies don’t have a chance to create plans for their company to have new leadership, and it can really leave them in flux. Being an African-American female leader in dance, are there any key pieces of advice that you would give budding female Artistic Directors? 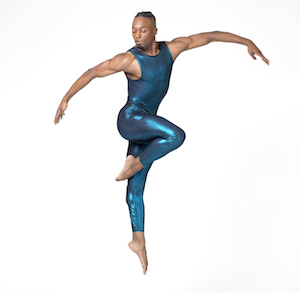 What things do you think can be done to champion diversity in all forms of dance? What major things are next for Philadanco? “I live day to day which is sad, but there should be an opportunity for Philadanco to have an Endowment. We aren’t funded on the same level as the white institutions; it will never happen. What I look forward to is being able to pay my dancers next week and making sure they don’t have to go on unemployment. I keep them on a 52-week contract and hope that next year there is work. Going back to the Joyce for the first time in 10 years is crazy, but we are there, and we are going to do a great job. I hope we sell a lot of tickets so I can pay the bills. I self-present when I go there; I don’t let them hire me, then I wouldn’t be able to pay the bill because they don’t pay enough. There is so much work that has to do with social commentary and what’s currently going on in the world. The fact that you had to deal with some of that growing up and it’s still happening is astonishing. It’s important for work like that to be shared with people. 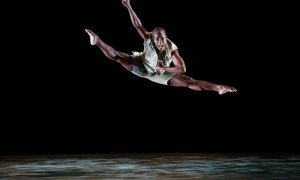 For tickets to Philadanco’s season at NYC’s Joyce Theater, now through June 17, visit joyce.org/performances/philadanco. By Demetrius Shields of Dance Informa.